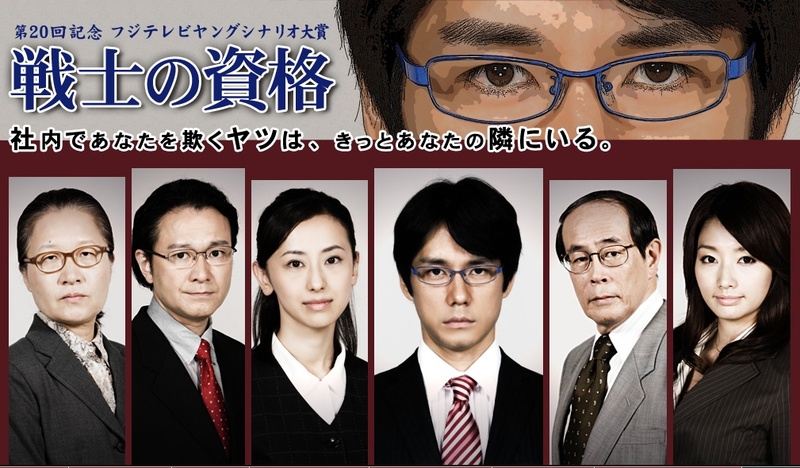 Takagi (Hidetoshi Nishijima) works for a small firm and is desperate for a promotion. He'll do anything to get ahead, even kick a colleague when she's down. Takagi gets his comeuppance when his supervisor and mentor, Fujido, resigns. Takagi's new boss always held a grudge against Fujido, and he banishes Takagi to the stock room, in effect demoting him. At first Takagi is bitter, but he comes to understand something about himself and the way he treats others as he gets used to his new position. Script was written by Fuji TV employee Mikiko Takahashi, who submitted his script to Fuji TV's annual amateur writing contest (young Scenario award) and won.